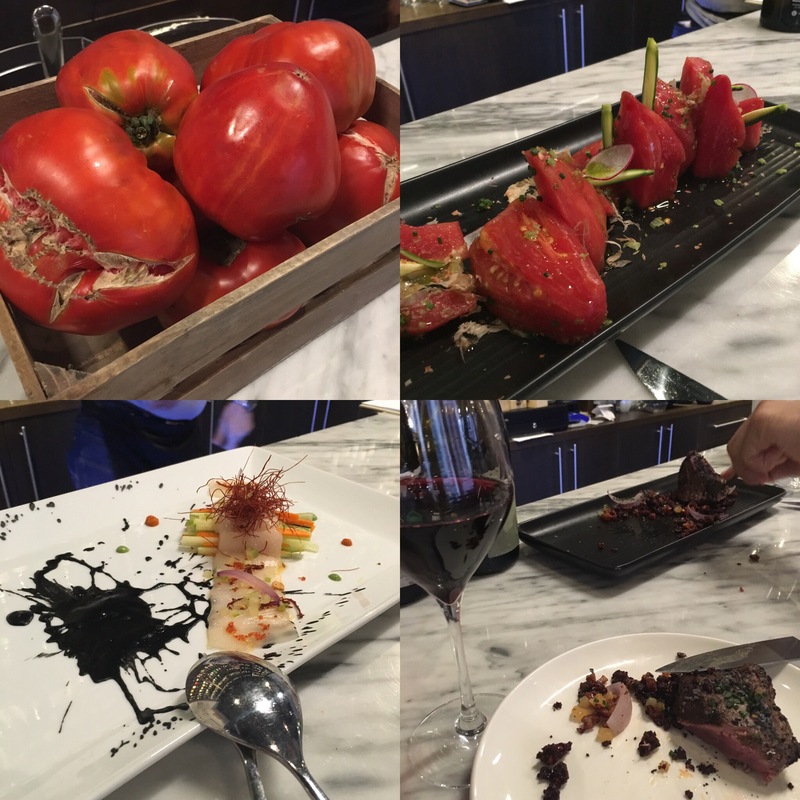 Brilliantly long lunch yesterday in Angelita Madrid – the headquarters for wine lovers in the capital. The great attraction of Angelita is its ever changing selection of wines by the glass – including a list of a dozen or so wines from Jerez and Sanlucar (and a few more from Chiclana) – together with hard to find wines by the bottle (including UBE and the Manzanilla de Añada, to name just two) and classic wines from all over with a few years in their legs (yesterday we had a 26 year old Rioja, for example). It makes it a great place to come and try new things and also to try out your blind tasting skills. 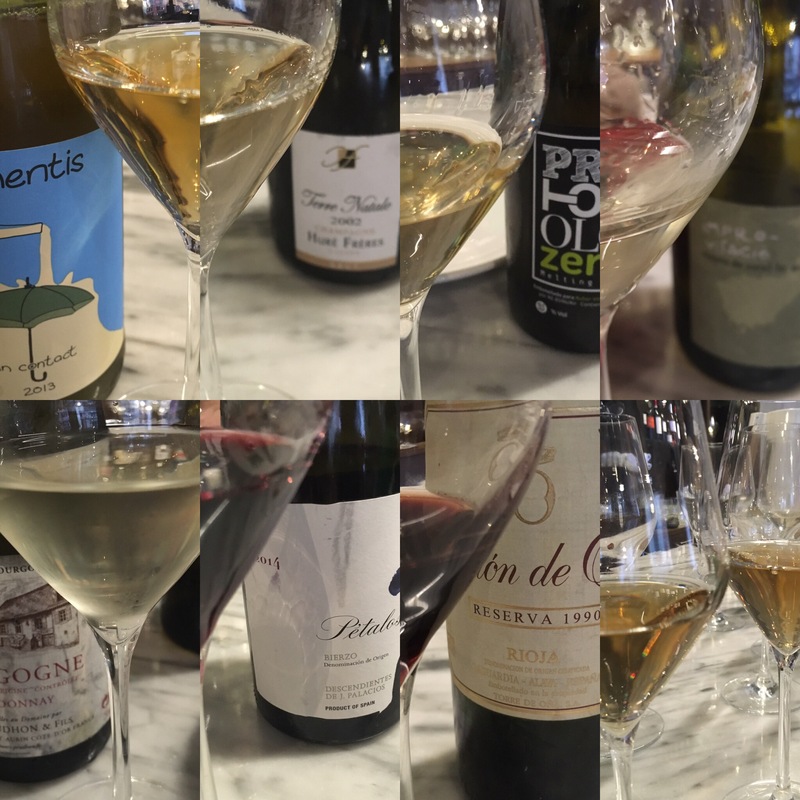 Just look at the outstanding, original wines we tasted blind yesterday (the record shows that I got one of them dead right and got the regions and varieties right for two others, although I whiffed in humiliating fashion on the only manzanilla we tried). It is also a great place to run into fellow wine lovers – yesterday was no exception on that score either. Finally, it is also tomato season and there may not be better tomatoes on sale anywhere in Madrid. Just look at these absolute beauties before and after, not to mention the delicious pez mantequilla and sirloin with migas. It is hard to believe they have only been open five months – what on earth did we do before Angelita opened?